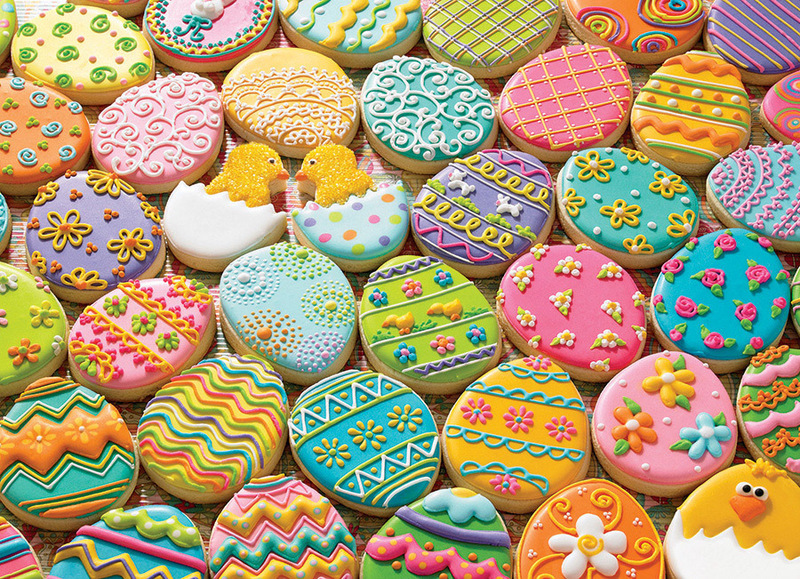 Spring is in the air and that means it's time for Easter Cookies! 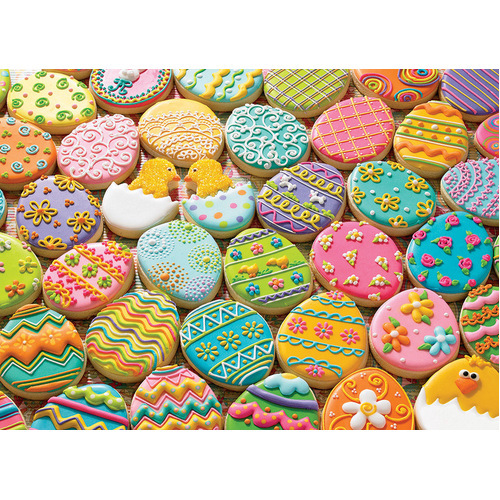 These cute cookies may not be the reason for the season, but it's a fun way to spend family time. With three different sized pieces from large to medium and small, hands of all sizes and puzzlers of varying skill will be able to work together to complete this fun Family Piece 350 image.